We are a 2016 & 2017 winner of a "Provider of Choice" award for the quality of our service. We were recognized with a "Leader in Excellence Award" which went to the top 4% of home health care agencies in th3h US. Over 9 of 10 clients would recommend us to someone based on the quality of our service. We are a private duty home health company, specializing in partnering with families to create customized care plans for their family members. We are licensed to provide home health care services (non-medical and skilled medical services) by the Illinois Department of Public Health. We’ve earned accreditation by the Joint Commission, which is the highest standard available and the same one that top hospitals achieve. Our services include non-medical companion care, hands-on home health aide care, skilled nursing, and physical, occupational, and speech therapy. A personalized care plan is created for your loved one and overseen by our Director of Nursing. Our Director of Nursing is also Dementia and Alzheimer’s certified. All of our staff are trained and competency tested. 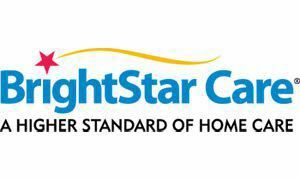 They are all employees of BrightStar with a minimum of 1 year in a hospital or other heathcare facility facility. We conduct extensive background checks in all 50 states, validate fingerprints, validate the Healthcare Workers Registry, perform drug testing and check references. All caregivers are Healthcare CPR certified, licensed, bonded and insured. Our goal is to deliver a higher standard for private duty home care in the South Suburban Chicago area by providing excellent client care and unsurpassed customer service. You will find that we’ll listen carefully to your needs, and then help you find the right solution, support and care for your loved one. We look forward to the chance to help your loved one remain safe, comfortable in the home and as independent as possible. Our professional caregiving support will certainly provide some peace of mind for you knowing that your family member is getting the best possible care. If there are any other questions, please don’t hesitate to call. Our phones are answered 24x7 and you can reach us anytime at 708-532-2273 to discuss the next steps. Take care and thanks for considering BrightStar of Tinley Park/Oak Lawn.